At Advanced Tech Hearing, we provide innovative hearing technology from leading industry manufacturers. Our hearing aid options are fully customizable, keep up with the most active of lives, and offer a range of features from clear, enhanced sound to excellent speech recognition to wireless connectivity. Before we can provide you with a hearing solution, we must determine your specific needs. At Advanced Tech Hearing, we offer hearing exams. The hearing exam is a painless, noninvasive procedure that usually lasts no longer than two hours. Our licensed hearing specialists will provide you with the best solution that will seamlessly improve your hearing in all of your experiences. Before the actual exam, you will meet with one of our hearing specialists. We’ll ask about personal and family medical history, as this could influence your hearing. During this time, you will tell your hearing specialist if you’ve been on any medications or if you’ve had a cold or sinus issues in the past few days. If you have been exposed to loud noises recently, you will also want to relay this information. In some cases, these factors may interfere with accurate results for the test. Share with your hearing specialist your daily schedule, physical activities, employment information, etc. as this will be valuable information later. Following the consultation, your hearing specialist will conduct a painless physical examination of your ears. Your hearing specialist will use an otoscope, which allows them to look into your ear canal and at your eardrum. 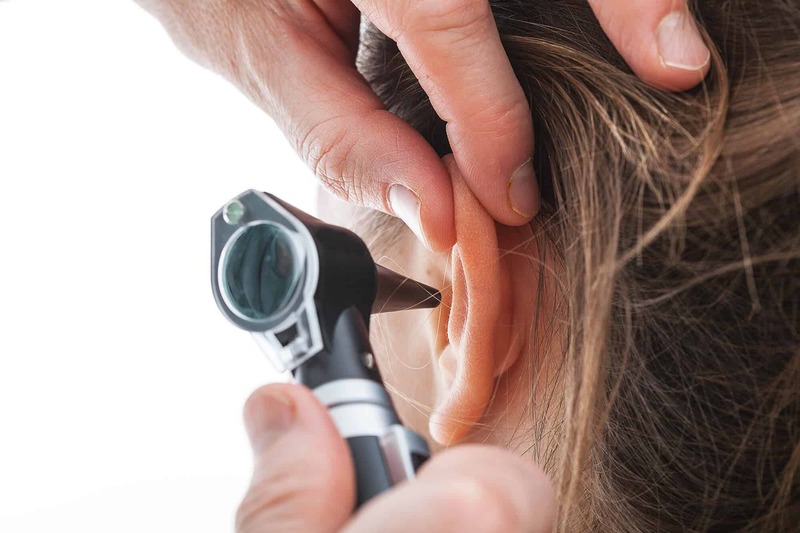 They will check for any blockage in this area, perhaps from impacted earwax, as well as any damage to the eardrum, such as perforation or rupture. These factors could lead to hearing loss. You will sit in a soundproof treated booth while your hearing specialist plays a series of tones through your headphones. Each ear will be tested separately. When you hear a sound, you will be asked to raise your hand or push a button. These tones will be played first a low volume and will increase until you can hear them. During this portion, your hearing specialist will read you a series of words and you will be asked to repeat them. We recommend that you bring a friend or family member with whose voice you are familiar. The volume for the words will begin at a low volume and rise until you can hear them. Again, you will be tested one ear at a time. An audiogram, a visual representation of your hearing abilities, will record the results of your hearing exams. Each ear’s ability will be recorded separately, in terms of decibel and frequency levels. The result for speech recognition is usually recorded as a percentage. There are two possible results for an audiogram: normal or experiencing hearing loss. The audiogram indicates to your hearing specialist the degree and configuration of your hearing loss. You will sit in a soundproof room while your hearing specialist plays a series of tones through your headphones. Each ear will be tested separately. When you hear a sound, you will be asked to raise your hand or push a button. These tones will be played first a low volume and will increase until you can hear them. If a hearing loss is found, our hearing specialists at Advanced Tech Hearing will provide you with treatment options. The most common treatment for hearing loss is hearing aids, which come in a variety of styles, models, and technological capabilities. Most hearing aids on the market right now are highly sophisticated devices, with the ability to quickly process sound and connect wirelessly to electronic devices. There are many different options to treat varying degrees of hearing loss, with special features to meet specific hearing needs. Your hearing specialist will factor in the information you provided during the consultation, such as your lifestyle, activities, employment, etc. to determine the best hearing aid option for you. If you believe you, or someone you love, is experiencing hearing loss, contact at us at Advanced Tech Hearing today!